30plus blog: Everydaywigs | A perfect wig for you. I've never been really interested in wigs although I know how perfectly they are made now. 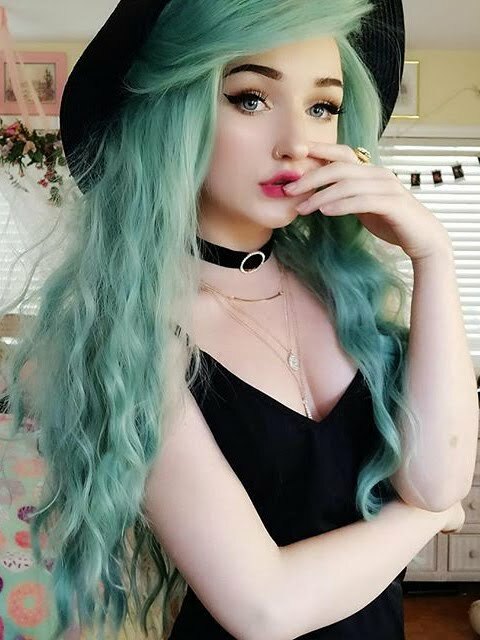 Most girls and women looks amazing wearing wigs, no mater how long and what color they are. But that has changed when my mum got very sick and after few months of chemotherapy she has lost her hair. One day we decided to buy her a wig because she felt so unhappy and she knew everybody is staring at her. Now it's not a problem to order a wig which is well made and you can choose in different lengths, shapes and colors. Few days ago I decided to order my mum a new one and make her a surprise. Everydaywigs online shop offers us high quality synthetic wigs and human hair wigs. In this shop you can find hundreds of wigs like blonde lace front wig which looks amazing. Ombre hair style is still in fashion and the ombre lace front wig makes me want to order one also for me. My hair is thick and I always dreamed about having beautiful, long hair. Ombre wig can be perfect to wear it everyday or only on spacial occasion. Darker hair color on the top and lighter hair color at the ends of the hair and you can choose in many different colors. Just all you need, curly, wavy or straight hair. Everydaywigs online shop offers us amazing wigs for white women, perfect for they skin tone and colors of their eyes. It is also very important to match the lace color with your scalp complexion not your skin tone. There are three lace colors, the light brown, transparent and medium brown. Before you make an order you should read how to choose a wig and all the information you can find here. Different styles, colors make this shop a perfect place to buy a wig. You can choose human hair wigs or synthetic lace front wigs. Just check the shop and I am sure you will find a perfect wig. All items in Everydaywigs are currently free shipping to worldwide. We all deserve a wig which will make us look beautiful, especially women who want to feel more comfortable as you undergo cancer treatment, just like my mum does.